1. 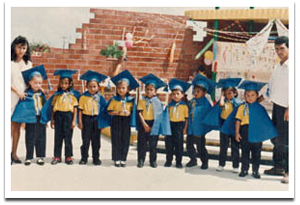 Social Goal: Nursery "La Casa De Maruja"
For over 10 years the company operated a nursery and day care center for children in our local community, ranging from newborns to 5 year olds. We provided transportation, food, schooling and medical attention at no cost for over 100 children each year. Sadly when banana prices plummeted the center had to be closed for lack of funds. We hope that together with our business partners we can get this nursery up and running again. Several customers have voiced their desire to make an annual contribution to such a project and we hope we can build on this momentum. 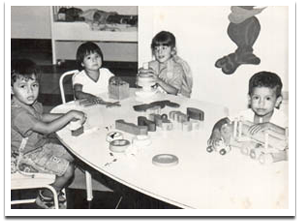 With this in mind, we have donated the nursery's building in order to receive donations designed to serve the rural community in which we are located (Barbones / Santa Cruz), of course our support is included. Industrias Borja participates in donations for the underprivileged people (NGO's): Homeless, the elderly, the young offenders (people under observation), the terminally ill, child development centers located in slums and rural areas. - Computers for the State of Santa Cruz School. - Social Security: Industrias Borja's workers are covered by accidents insurance. - Food and nutrition service. - Occupational Health and medical clinic in the workplace (Nursing). - All exams required for worker admission are covered by the company.